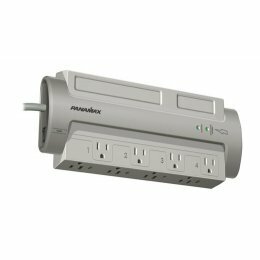 The Panamax M4-EX Premium 4 Outlet Surge Protector has 4 transformer-spaced outlets with surge protection Protect or Disconnect circuitry . 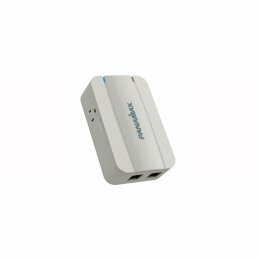 The Panamax MIP-20LT Imagpro 20AMP AC/TEL/LAN Surge provides enhanced Neutral-to-Ground Noise Filtration for your digital office equipment. 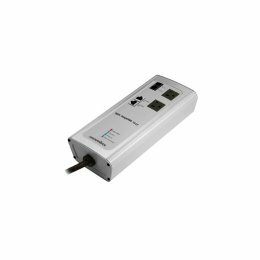 The MIP20LT features an improved 2-stage common-mode architecture that provides compatibility for GFCI's per NEC article 250.6. 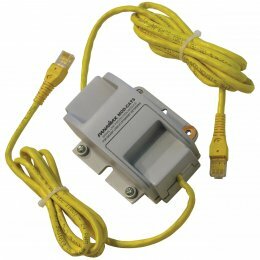 The MIP 20LT acts as a gate to prevent unsafe voltages from damaging sensitive electronic equipment. 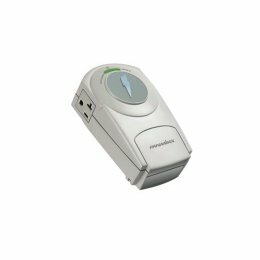 It automatically detects a prolonged over-voltage or under-voltage and disconnects the power to the connected equipment, then reconnects it when the power returns to a safe level. 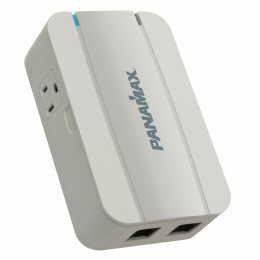 Panamax Power Protection M2 A20 for equipment against all surges. AC power, telephone and coax lines can provide direct pathways for surges and spikes to enter and damage expensive audio/video equipment. 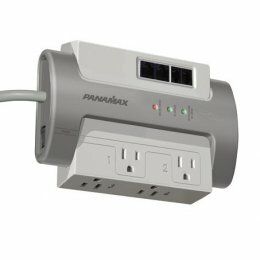 The Panamax SP8-AV 8 Outlet AV/COAX/TEL Surge Protector eliminates voltage irregularities and protects your AV system. 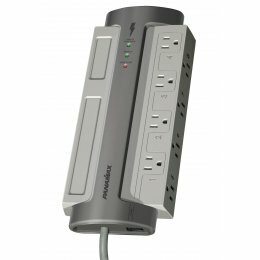 Panamax M4LT EX Surge Protector with 4 Outlets - you don t always have room for a gigantic surge protection system for your home computer and office equipment. 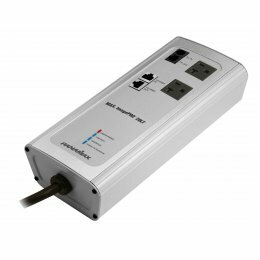 Don t let your system go unprotected, this small M4LTEX unit provides big protection with line conditioning, Automatic Voltage Monitoring, and Panamax s patented Protect-Or-Disconnect system. 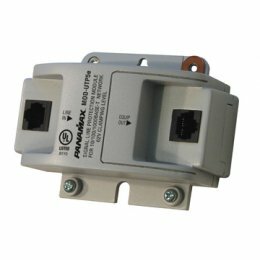 The Panamax MOD-UTP5E Ethernet Add-On Protection Module will protect networked computer equipment. 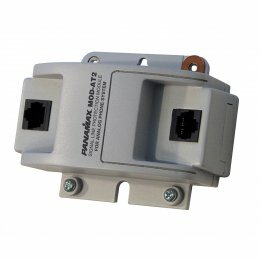 The MOD UTP5E is for 10/100/1000 Base-T Ethernet Networks. 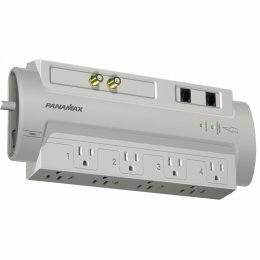 The Panamax PM8-AV Powermax 8 Outlet TEL/COAX Surge's Power Cleaning and Filtration eliminates common symptoms of contaminated power (including loss of detail, pops, hisses, hums and visual artifacts) and allows your A/V equipment to perform up to its full capability. 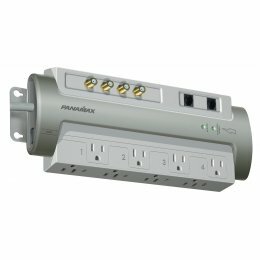 In the event of a catastrophic surge such as lightning, the PM8 AV completely disconnects AC power to connected equipment. 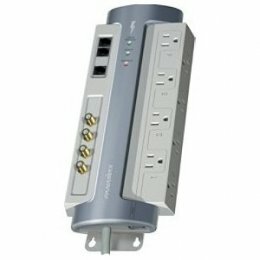 Panamax PowerMax PM8EX Surge Protector accepts add-on Signal line modules to accommodate system expansion. 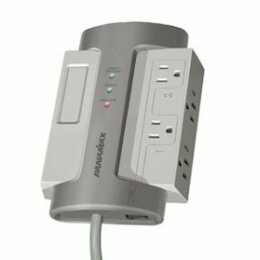 The Panamax PM8 EX features eight AC outlets with transformer spacing.